KNRD’s fundamental challenge is to provide tribal members with an opportunity to engage in the same cultural practices as their ancestors. This is a formidable task for a host of reasons, not the least of which is the Kalispel Tribe’s diminished land base. 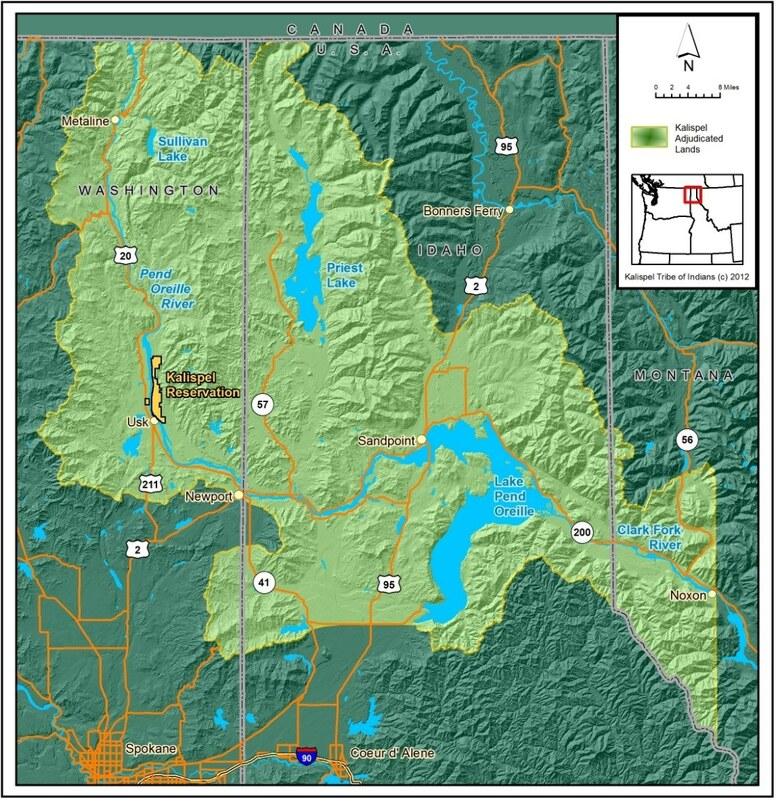 Whereas the Tribe’s aboriginal territory consisted of several million acres of lands in the Inland Northwest, the Kalispel Indian Reservation consists of fewer than 5,000 acres. Because tribal members cannot adequately maintain their cultural lifeways on the Reservation alone, and because healthy off-Reservation ecosystems support more abundant on-Reservation harvest opportunities, KNRD’s work extends beyond Reservation boundaries. KNRD generally defines its zone of interest as the lands within the Indian Claims Commission-adjudicated boundaries of the Tribe’s aboriginal territory. Since the Tribe’s interest in natural resources extends beyond the limits of its regulatory authority, KNRD’s success depends on its ability to work effectively with other natural resources managers. A tribal elder coined the term “collaborative sufficiency” to describe this method of engagement, and this is what KNRD strives to create with its diverse conservation partners. KNRD is made up of two divisions: Fisheries/Water Resources and Wildlife/Terrestrial Resources. Although each division maintains its principal focus, KNRD’s work is interrelated and requires that the two divisions work together to achieve the best possible conservation outcome. Weekly director and monthly program manager meetings are scheduled to ensure that communication lines remain open and work is performed in a coordinated and logical manner. Most of KNRD’s coordination with Tribal Council occurs through its executive director. The Fisheries and Water Resources Division is comprised of three programs: Fisheries Management, Fisheries Conservation, and Water Resources. 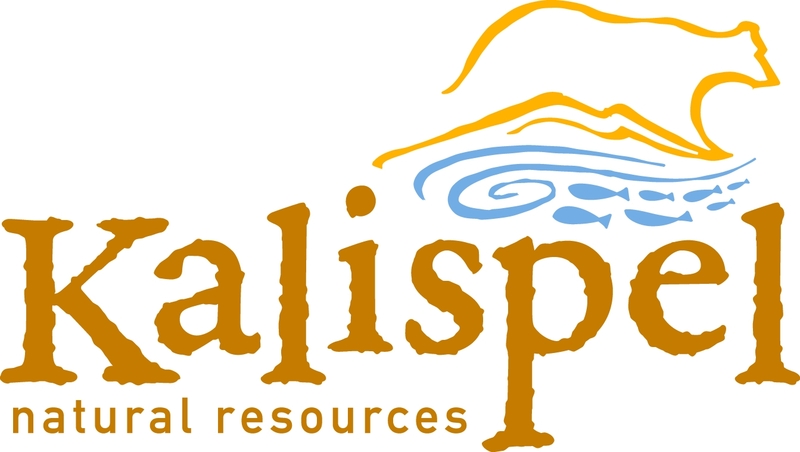 Together, these programs strive to provide Kalispel people with healthy fish and water resources both on the Reservation and throughout the Tribe’s adjudicated lands. Like its terrestrial counterpart, the Fisheries and Water Resources Division performs a wide variety of work from restoring fisheries habitat to conducting research to engaging in development of regional and national conservation policy. Wildlife and Terrestrial Resources Division The Wildlife and Terrestrial Resources Division is comprised of four programs: Wildlife, Forestry, Cultural Resources, and Agriculture. Although most of the Division’s on-the-ground work occurs locally, each of these programs maintains a regional and national reach in order to support appropriate conservation outcomes. Whether commenting on a Forest Service project-level EIS, reviewing state forest practices applications, implementing a forest health timber harvest, managing federal hydropower mitigation properties, restoring wetlands/floodplains, managing a buffalo herd, or simply repairing a forest road, these programs work together to research, manage, enhance, restore, and protect terrestrial resources to effect meaningful conservation outcomes for the Kalispel people.